This is of course a sad day and one that we’ve had in the back of our minds for years now. After founding Apple 35 years ago in his garage in Silicon Valley, and subsequently getting pushed out less than a decade later, Jobs was brought back in in 1997 when Apple was on the bring of collapse. In the 14 years since his return, Apple has turned into the most valuable company in the world by market cap. To say he’s leaving the CEO position on top wold be an understatement. Since his third medical leave was taken in January it has seemed Jobs has been moving into a Chairman-type roll, still leading the Keynotes but giving everyone else a bigger role. As Chairman, Jobs will “continue to serve Apple with his unique insights, creativity and inspiration,” said Apple Board member Art Levinson. Tim Cook will take over as CEO as per the Apple succession plan. Jeff Williams will likely take over as COO. In the past months, Jobs has revealed a revolutionary new headquarters for the Apple of the future. The authorized biography Steve Jobs by Walter Isaacson (pictured above) is due out in November. I have always said if there ever came a day when I could no longer meet my duties and expectations as Apple”s CEO, I would be the first to let you know. Unfortunately, that day has come. CUPERTINO, Calif.–(BUSINESS WIRE)– Apple’s Board of Directors today announced that Steve Jobs has resigned as Chief Executive Officer, and the Board has named Tim Cook, previously Apple’s Chief Operating Officer, as the company’s new CEO. Jobs has been elected Chairman of the Board and Cook will join the Board, effective immediately. We hope a long and healthy life for Steve Jobs and his family. 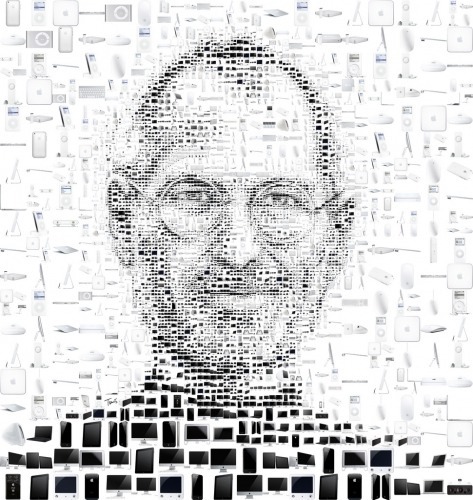 We hope that the company will do great thing in the future, and Steve Jobs continues to contribute to the company.